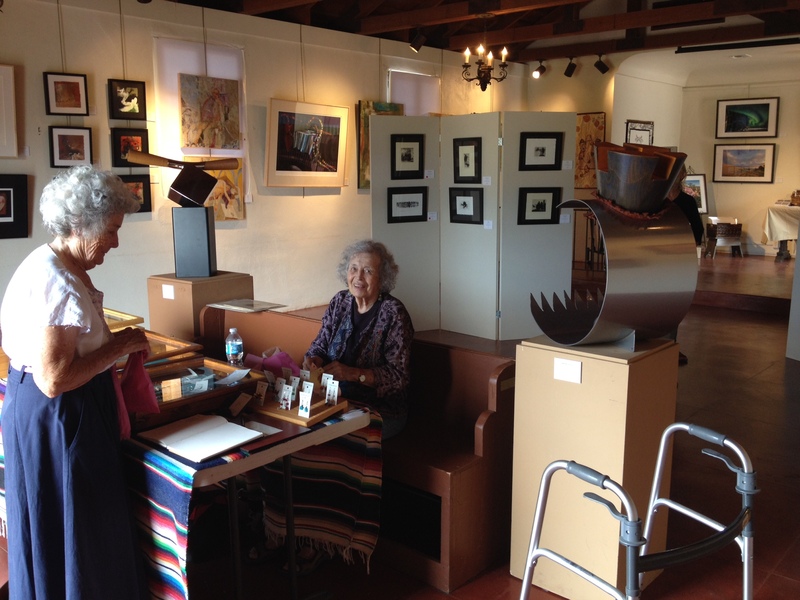 Friday, Sept. 19 – Artists’ Reception 5:00 – 7:30 p.m.
Saturday, Sept. 20 – Open 10:00 a.m. – 5:00 p.m. In keeping with that tradition, a core group of contemporary resident artists are banding together to form the Old Fort Lowell Artists Group. The group is now organizing its first event – a collective art exhibition to be presented in the Fort Lowell neighborhood’s historic adobe San Pedro Chapel on Friday and Saturday, September 19 and 20. Twelve artist members of the OFLAG will be displaying an eclectic collection of work that includes paintings, sculpture, photographic and digital art, weavings, quilts, and jewelry. It is quite astonishing to see so much artistic talent clustered in such a small geographical area. This entry was posted in Art Exhibition, Digital Art, Fort Lowell Historic District, Jewelry, Oil Painting, Photography, Quilts, San Pedro Chapel, Sculpture, Weaving on August 8, 2014 by Carol.